Quizzes, polls, and general questions are all excellent ways to boost engagement and learn about your audience. You can cover a broad range of topics, you can turn it into an incentivized event, or you can even make it a generally fun weekly thing. It humanizes your brand in the eyes of your followers, particularly if you monitor and respond to engagement you receive. Here’s a process you can use to formulate and run polls and quizzes on the social media platform of your choice. The first thing you need to do is figure out what the topic of your poll, quiz, question, or test is going to be about. Are you going casual? If so, you can ask questions about how people spent their weekend, what people like doing at the beach, whether people prefer Coke or Pepsi, and other trivial personal details. These are great, because people love sharing trivial personal details about themselves. You can also go more formal. Set up a poll about your audience to harvest some demographic information. You can do age, gender, general location, computer platform, usage level for your product, and other such details. This will help you get a grasp on your audience, in contrast to full audience demographics available through things like Facebook Insights. 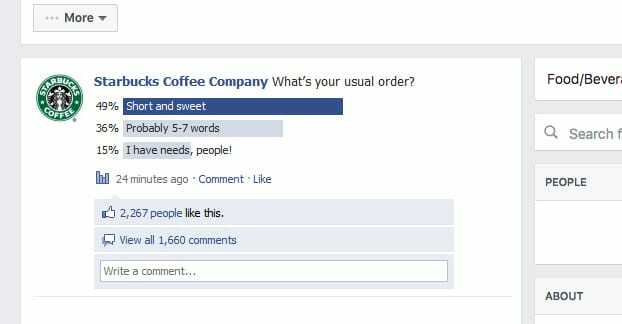 Polls and the like give you insight into the engaged segment of your users. You can also pick topics about your business and product. These sorts of questions allow you to get feedback on your own presence and actions. Do people like your product? Do they have flaws they would like to see addressed? Do they experience pain points you can track down and eliminate? It’s excellent information you can use beyond social media. The incentive you choose will spur additional engagement, but you have to be careful with it. If you run a poll and you have a $50 gift card up for grabs for a randomly chosen entrant, you’re going to get people entering for the money and not paying attention to their answers. This can skew your statistics. If you include something smaller, like a coupon to every entrant, it’s more likely to spur real answers. You don’t have to include an incentive at all, if you don’t want to. It’s not necessary, and is probably overkill for the smallest types of polls and questionnaires. In those cases, you need to make it an event and encourage people to respond through your own engagement and your language. Different lengths will require different resources. Longer surveys will require more of a time investment from users, which means you need a better incentive if you’re going to get high engagement. They will also require more thought put into the questions, to make sure you cover all the bases. On top of that, it will limit the systems you can use. For example, you can do single-question polls on Twitter, but for multi-question surveys you will need to use a third party tool. In general, you can set up a weekly poll or even a daily poll fairly easily if you only include one question, but the longer the survey goes, the less frequently you can pull off posting one. Now that you have a subject and a length, you can put together your questions. There’s not much I can say about this section; just make sure to formulate questions to get the sort of answers you want. If you want a simple yes or no, don’t leave the question open-ended, and vice versa. At this point, you have to decide where you want to ask these questions, and how you want to go about it. Depending on the social network you want to use, you’ll have a range of options. For example, Instagram doesn’t have native app support, so you can’t ask directly on the platform, you have to post an image and refer people to a link, or do it organically in the comments. I’ve put together a few options, but bear in mind that there are dozens more, so feel free to find one that works for you. Native Facebook: I mention this because it used to exist, but as of recently, the option has been removed. The only place you can use it is in a group, which means it’s not very useful for page admins, and I wouldn’t be surprised to see it removed from the group UI shortly. Native Twitter: Twitter allows you to create simple polls, which can have up to four options, but must have at least two. Polls take a small amount of your character limit, so the accompanying tweet has to be shorter than normal. Beyond that, it’s not a very good system; you get some analytics on the poll, but it’s a lot less robust than most apps. 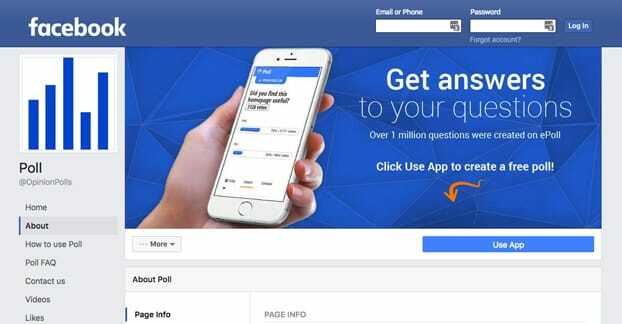 Kremsa Poll: This is one of the most used and recognized poll apps on Facebook, and it does just about anything you want it to do. Your free polls may be ad supported, which isn’t a huge deal, since it gives you a standard tab app to customize your poll normally. Additionally, for a small fee, they will advertise your poll on their page. 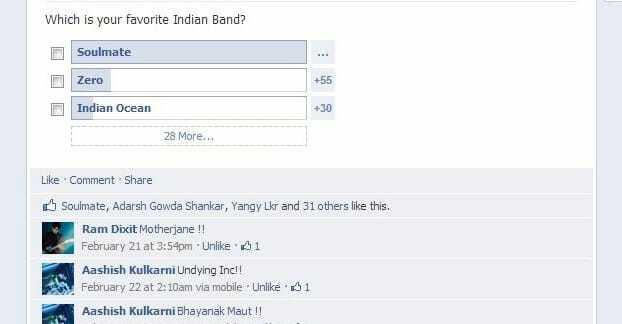 This is of questionable value but can get people interested in your page as a sort of low cost poll ad. Polldaddy: This option was created by the people behind WordPress, but is made as an app on Facebook. 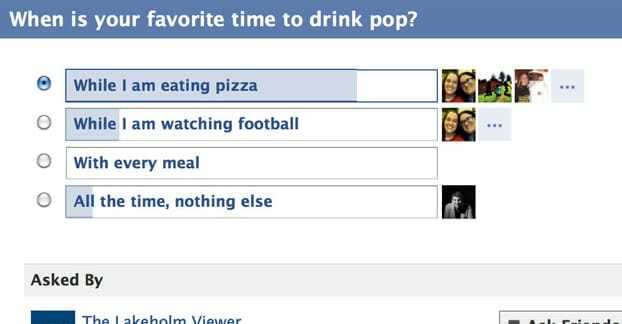 You can create polls, surveys, and quizzes that work on Facebook, Twitter, and through your website. More importantly, it allows you to customize your polls with images, videos, and CSS. TwtPoll: Despite the name, this poll app works with both Facebook and Twitter. It allows you to create a variety of different sorts of polls and surveys, including lengthy questionnaires and video polls. Polls are limited in duration to 3 days for the free version, and only up to 100 recorded answers, which is unfortunate for mid-sized businesses. Larger polls cost $9 per question but last for two weeks – plenty of time – and have unlimited votes. For unlimited questions and a month long duration, you’re looking at $99 per month, so make sure you really want to use it extensively before you pay that. 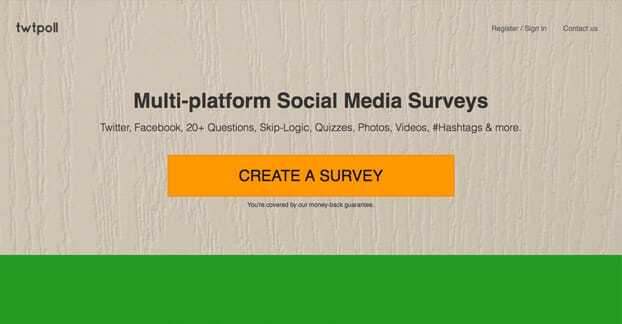 SurveyMonkey: This is one of the most popular web-based survey apps out there. The surveys are used by everyone from big Fortune 500s to small businesses, so they can fit any need. 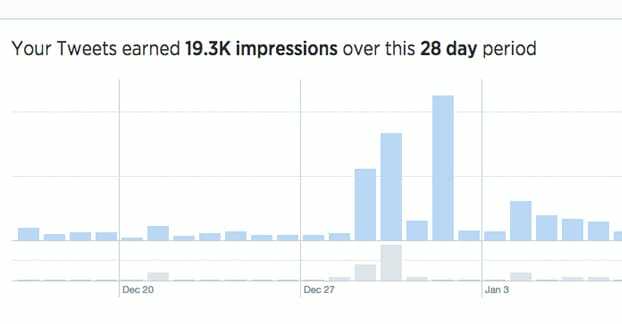 You get a ton of analytics, including real time results, custom reporting, and cross-tabbing for multiple surveys. They have an ad system to get your survey in front of people outside your standard audience, if you need the broad response. Of course, it comes at a cost. The free version is limited to 10 questions and 100 responses. If you want custom logos, data exports, and more features, you have to get a higher tier plan, which starts at $25 per month. Gnowledge: Where SurveyMonkey is great for simple surveys, Gnowledge is great for tests. They’re quizzes and tests that are designed for teachers and students, so they have grading flexibility and sharing features to help groups of people learn. I include it here because it’s a niche you may want to explore. OpinionStage: This one is a WordPress plugin and allows you to set up surveys natively on your site. This is useful for those social networks that don’t have apps of their own; you can refer them to the survey on your site. Regardless of how you set up your poll, you need to keep it going. This means a whole process of attention you need to spend on it. First, you need to promote it. If you don’t want to boost the post on Facebook or pay for an ad on Twitter, you at least need to post periodically to remind people it exists. Don’t re-post the poll, but rather link to it. Next, you need to monitor the comments on the post. Some people may add options that don’t exist or point out flaws with the poll. Take note of these and either adjust the poll or keep them in mind for next time. Most importantly, you need to respond to many of these comments. When a user asks a question about your poll, answer it. If a user has an issue, do your best to offer support. Thank people for their entries and use the comments to point out and tag winners. This all applies to any location you use to promote the poll. If you’re posting it on Facebook and Twitter, monitor both. If you don’t want to monitor comments on your blog when you post it there, disable them or post it on a landing page without comments. Ideally, at the very least, you will be recording the basic data about your polls. A simple single-question poll with four answers has some information to record. How many people answered? How long did it run? Which options got how many votes? The more complex the poll, the more you need to record. This is why it’s very useful to use one of those survey options that has analytics built in. Even if you have to pay for them, they’re worth paying for if the information you want is valuable to you. 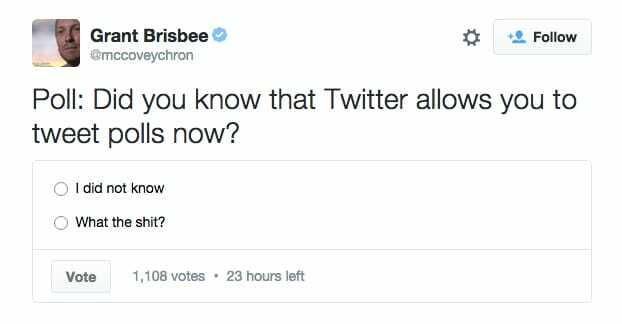 Now, I wouldn’t pay to record the answers of a “Coke vs. Pepsi” poll or a sports team poll, for example. These are superficial and, while you can still record the answers for future use, you don’t need deep analysis of the people behind the answers. On the other hand, if your poll is something about product usage, it can be a good idea to track demographics, which you can only get if you run the poll on a system that records that kind of data. Many don’t, so you need to know what you want to record before you pick a platform. Data exports can also be useful for tracking answers over time. Run a poll now, and then run the same poll again six months from now, after you’ve made changes to your service based on the answers. See how the answers change, and iterate from there. It’s a road to self-improvement. At the end of the day, all of the polls in the world are only as useful as what you make of them. One possible outcome is to use the polls themselves as the end goal. Engaging with your audience keeps them active and keeps them around, seeing your posts as the case may be on Facebook, or even just paying attention to and retweeting your content. By establishing a pattern of weekly polls, you get people interested in what you’re going to ask next, what their fellow followers have to say, and other such community traits. Engagement can be its own reward. Another outcome is to gather audience demographic information. You don’t need to worry about harvesting the data from analytics if your survey simply asks for that information. Sure, some people won’t want to give their personal information and will not complete the survey, and others will give false information, but in broad strokes what you learn about your audience will be true and useful. This helps you tailor future marketing and even product development. Perhaps the best outcome will come from surveys that ask for details about your product or service. You can use the information to address common issues, get more information for future products, and provide customer support. There’s really no limit to the potential value of good customer surveys, but you have to be sparing with them, lest people get fatigued and stop answering them. Surveys are what you make of them, so make sure to give it plenty of thought. Pick the right topic, platform, and data recording for your needs.